How does a tourism-dependent community respond to an environmental pathogen found in its water? This session will introduce the basic ecology and pathogenicity of Legionella. A local engineer will share how a large hotel developed and implemented a waterborne pathogen control plan and the local health district will cover their approach to investigating single cases of Legionellosis. Detection and monitoring methods will also be addressed, including a rapid bacteria screening method which provides a means for risk assessment and outbreak mitigation without waiting for a bacterial culture. See if this integrated approach could be applied to address Legionella concerns in your community. The Food and Drug Administration publishes the Food Code to guide restaurant inspections. The most recent version proposes a three-tier system categorizing violations as priority, priority foundation, and core. This study used a scenario-based questionnaire to examine inspector perceptions and preferences for inspection formats. Results suggest that inspectors would be able to maintain consistent evaluations when changing to the three-tier system, although the classifying terms under the three-tier system were confusing. Additionally, inspectors were not very positive about the new system; they were concerned that the new system would not be easy to understand and use, inspections would take a longer time, it would not accurately reflect the amount of risk associated with violations, and it would not be easy for consumers and managers to understand and use. The results suggest the need for additional training for inspectors before adoption, especially on the rationale and benefits of changing to a three-tier system. 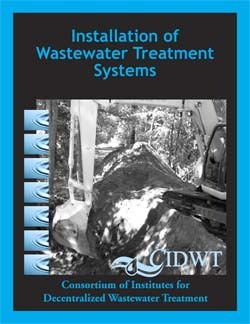 This manual is the definitive source for information on installing decentralized wastewater treatment systems. Developed by a team of experts, this manual provides installers with training materials geared specifically to address installation—one of the many vital aspects of programs for managing decentralized wastewater treatment systems. Installers, regulators, and designers of onsite wastewater treatment systems will gain a better understanding of the activities related to proper installation and startup to maximize system efficiency, longevity, and performance. This manual is a recommended study reference for NEHA’s Certified Installer of Onsite Wastewater Treatment Systems (CIOWTS) credential. How can funding cuts improve environmental health service delivery? Through innovations like the online Regulatory Information and Management System (RIAMS) being used in the UK and Australia, which has delivered big productivity gains and improved service outcomes across international borders. This success has led to more creative approaches for delivering environmental health through public health data, using apps for channel shifting service demand, and encouraging self-service to enable providers to do more with less and enable professionals to focus on the priorities of the day. See how these approaches could work in your program. Conducting food safety inspections requires interpersonal skills and technical expertise. This requirement is particularly important for agencies that adopt a compliance assistance approach by encouraging inspectors to assist industry in finding solutions to violations. This article describes a study of inspections that were conducted by inspectors from the Michigan Department of Agriculture and Rural Development Food and Dairy Division at small-scale processing facilities. Interactions between inspectors and small processors were explored through a qualitative, ethnographic approach using interviews and field observations. Inspectors emphasized the importance of interpersonal skills such as communication, patience, empathy, respect, and consideration in conducting inspections. This article examines how these skills were applied, how inspectors felt they improved compliance, the experiences through which inspectors attained these skills, and the training for which they expressed a need. These results provide new insights into the core competencies required in conducting inspections, and they provide the groundwork for further research. Norovirus outbreaks are becoming common and environmental health professionals are trained and experienced in environmental controls, such as proper cleaning procedures, to halt outbreaks. But what happens when the environmental controls are not preventing the spread? What other methods of transmission should you consider? Learn in this session how one county investigated and halted a Norovirus outbreak that resulted from contaminated well water.